There are many forms of resistance to oppression. One is memory itself. On Tuesday our delegation visited the village of Lifta, a Palestinian village on the outskirts of Jerusalem that was depopulated of its residents by Jewish militias early in 1948. 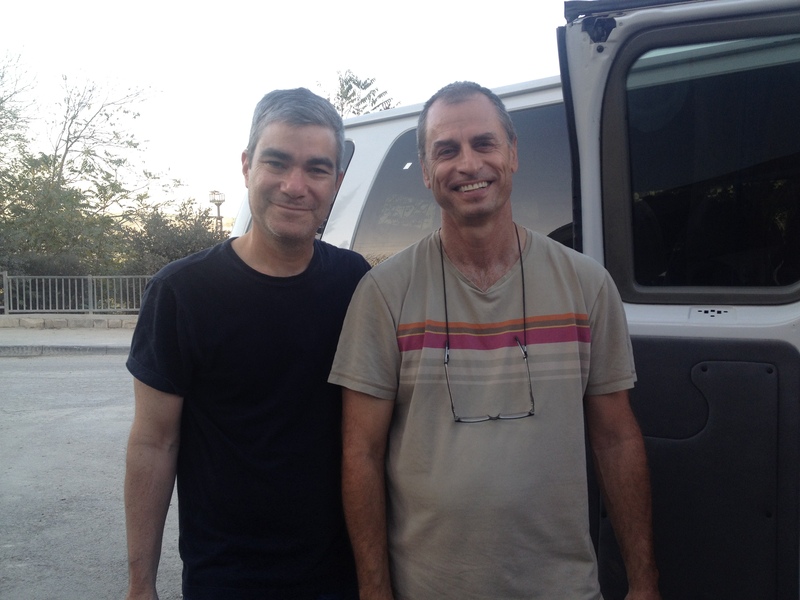 Our tour was led by Eitan Bronstein, director of Zochrot, an Israeli organization that educates Israelis about the Nakba, actively advocating for the Palestinian Right of Return. It’s truly one of the bravest, most important Israeli organizations I know. 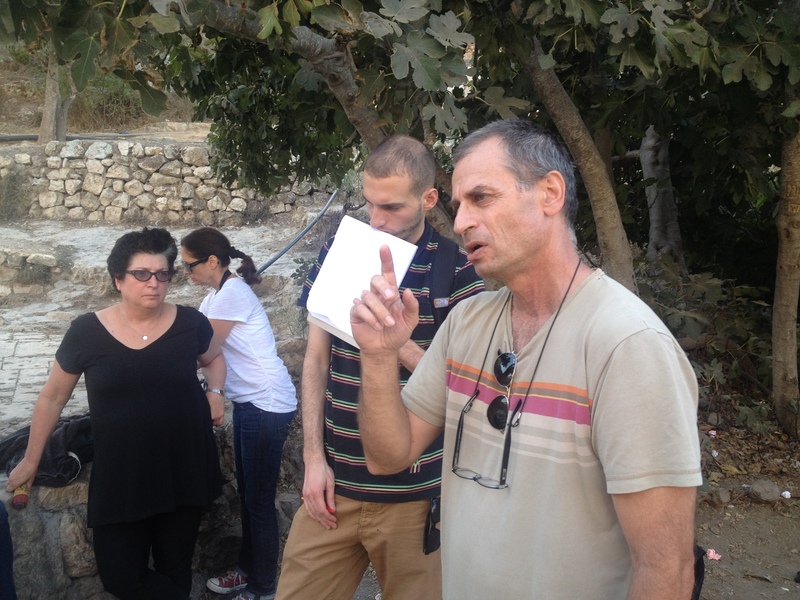 Zochrot’s tours of destroyed Palestinian villages are an critical aspect of their educational work. They are, of course, not your typical tours – in most cases they do not show you what is, but rather what is no more. Most Palestinian villages destroyed during the Nakba were razed to the ground, leaving little behind but the shell of a building or the occasional foundations of homes. Zochrot keeps the culture life of these communities alive through their tours, underscoring the profound enormity – and collective tragedy – of what was lost. Lifta is somewhat unique among these villages in that it is the only Nakba-era village that still remains largely intact. In its day it was a fairly well-to-do community, with a population of 2,550. In the years leading up to the 1948, the village fell under attack by Jewish militias in the area. On the December 28, 1947 six people were gunned down in the village coffeehouse, by members of two Jewish militias, the Stern Gang and the Irgun. In late January or early February, the militias attacked and seized the neighboring village of Qaluba and then invaded Lifta from the West. They occupied Lifta’s new town and the remaining residents took refuge in the old town in the valley. The village was cut-off from the west and anyone trying to leave was killed. The villagers resisted but were defeated after several hours of fighting. 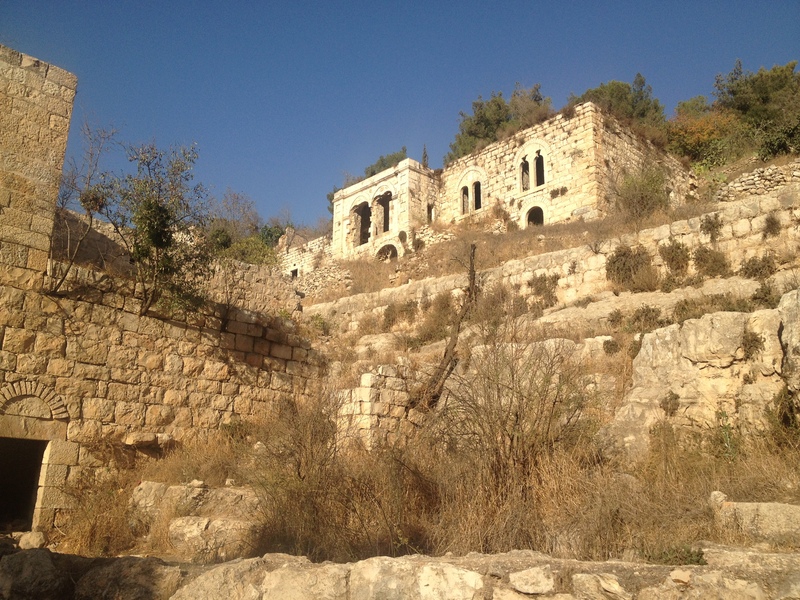 Lifta was the object of some controversy when the Jerusalem municipality announced plans to redevelop the area as a luxury area for Israelis. The plans were dropped after an outcry from former residents and progressive Israeli activists. In the meantime, the remnants of this remains, a testament to the legacy of a rich communal life that was lost during the Nakba. I can see why Lifta is such a popular spot for Israeli tourists – the town ls nestled in a long valley, with homes and buildings built into either side. The mosque and the Muktar’s house are still in decent condition, testifying to what clearly once was a beautiful, desirable town. At the bottom of the valley is a natural spring that still attracts swimmers, particularly ultra-orthodox who attribute spiritual significance to it. As Eitan showed us the area, the swimmers glared at us as if we were interloping in their own “sacred territory.” They clearly had no comprehension of the actual profanity that had occurred here in 1948. On Wednesday evening, we visited another Nakba site: El Ghabsiya, located in the upper Galilee (where were visiting members of delegation members Shafic and and Dima Budron’s family – more on this later). 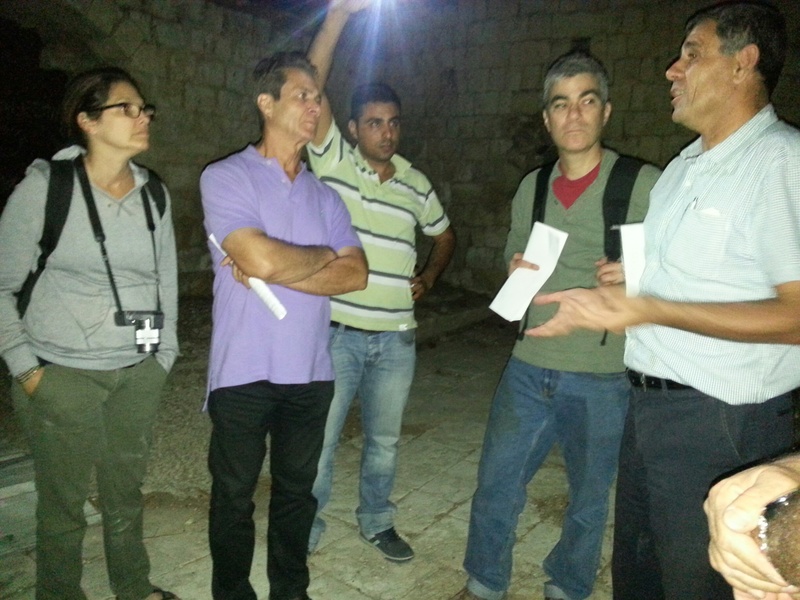 Our tour of El Ghabsiya was led by Muhammad Kaial of the Association for the Defense of the Rights of the Internally Displaced Persons in Israel, and Daoud Bader, an original survivor of the original village. The agreement was not to be honored. In May 1948, Jewish militias surrounded and entered the village. Families living near entrance to the village greeted the soldiers with coffee; in return father and his son were taken out into the nearby woods – Daoud told us that they have never been heard from to this day. When the soldiers entered El Ghabsiya, a community leader named Daoud Zainl climbed to the roof of the mosque and raised a white flag. The militia ignored his act of surrender, opened fire, and killed him on the spot. In all, eleven Palestinians were killed during the attack on El Ghabsiya and the subsequent expulsion of its residents, despite the fact that there was no local resistance. The inhabitants of the village escaped to surrounding villages, becoming “internally displaced refugees.” Unlike other internally displaced Palestinians, the people of El Ghabsiya were allowed to return to their homes less than twelves months later – but two years later, on August 2, 1951, then Prime Minister David Ben-Gurion declared the village a “closed military zone” and the villagers were again forced to leave their homes. The people of El Ghabsiya fought for their right of return all the way to the Israeli Supreme Court and on November 1951, the court ruled that they did indeed have the legal right of return to their village. Armed with this ruling, the villages gathered and headed back to their homes – and were met by Israel military forces the blocked their way and refused to recognize the decision of the court. In succeeding years, government bulldozers destroyed all of the houses in the village – the only building left standing was the village mosque. For the next forty five years, the Israeli Land Authority allowed the mosque to sit in disrepair and desecration, used as a stable for horses and other animals. Finally, in 1995 residents and descendents of residents of El Ghabsiya initiated a clean-up project and began weekly attempts to pray at their mosque. In response, the Israeli Land Authority sealed the windows and doors and ringed the mosque with barbed wire. After hearing this story, our group toured the mosque and gathered in the courtyard. On of our members Kalman Resnick said that as a member of the Jewish community and a man whose own family fled persecution, he felt shame at hearing this story of dispossession, that continues to this day. I then led the Jewish members of our delegation in the recitation of Kaddish for those who were killed on this site in 1948. In return, Daoud, the original resident of the village, emotionally expressed his appreciation for our presence and our solidarity – a profoundly moving moment for us all. After our visit, our group discussed ways we might help support the people of El Ghabsiya in their quest for justice – and their simple desire to pray in their ancestral mosque. More info on this effort will be forthcoming. This entry was posted in Bil'in Solidarity Delegation 2013, Civil Rights, Human Rights, Israel, Nakba, Palestine, Refugees on October 25, 2013 by Rabbi Brant Rosen. Thank you, Brant, for getting this awareness out to us. It is so important for us to know these things. I knew about Lifta, but never heard of Al Ghabsiya. How terribly sad. (It sounds like Bir’im and Ikrit.) And, I never new about the wanton killing in Lifta. Horrible. On my last trip to Israel-Palestine, I learned that people from Lifta did not all simply disappear into thin air or become refugees far away. Many still live in and around Jerusalem. They pass by their former homes all the time. Right along the west side of the road that the bus takes up to the student dorms on Har ha-Tsofim / Mount Scopus, there is a small pocket of Palestinian houses and a few shops including a popular felafel restaurant. Those houses were there when I was a student at the Hebrew U in 1971 and I’ve always been curious about them. In 2009, I finally decided to enter that area and look around. In talking with the people there, I learned that they used to live in Lifta. They said their village lands extended all the way to the edge of Mount Scopus where they now live. When their village was taken from them in ’48, they built new houses on their own land where they now live, but they certainly see Lifta as their home and their village. If I remember correctly, their family name is Abu Leil. I entered a mosque — or really more like a prayer room — in the ground floor of a house and sat and talked a long time with an elderly man named Daud Abu Leil who showed me photos of where he lived in Lifta. We who still have a rather sanitized and romanticized view of the origins of the State of Israel really need to know these things. Thank you again, Brant, for getting this knowledge and understanding out to us. Depopulated means, it was ethnically cleansed, also means that, those Palestinians were murdered by those Zionist thugs…. This is an important and moving account. Thank you so much for sharing it. I have in turn shared it on my Facebook page and it as been picked up from there and shared by others. It must be difficult being a witness to such testimony but in listening to people’s stories and in visiting the places where these crimes were committed you are demonstrating what it means to love your neighbour. G~d bless you. The vast majority of Americans do not know the true history of the creation of modern day Israel. It is my guess that most Israelis and Jews do not know either. I just started learning all of this within the last 2 years and am devastated that I’ve been lied to my whole life. I have since married a Palestinian and am dedicating the remainder of my life to educate my fellow Americans about the true history of the creation of Israel and about the current issue of Israel’s brutal occupation of Palestine. It is my hope to help others create enough awarness and outrage so as to pressure the American politicians to change policy towards Israel. Israel must be forced to give up power and to abandon their practice of apartheid! Thank you for sharing this experience. Simultaneously heart breaking and hopeful.